On the boulder with the character "N", along the bue path. Mantle up on the first part of the boulder without touching the other boulders left or right and finish at the top. 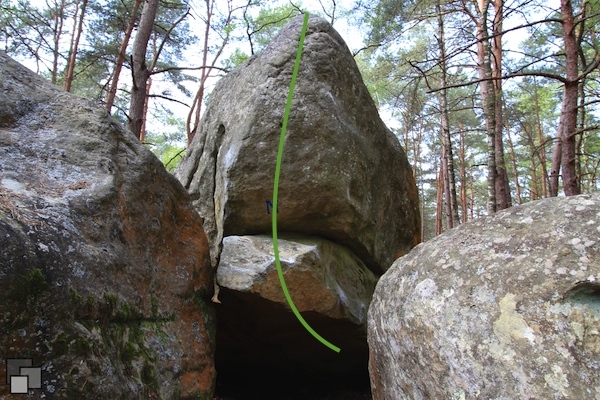 Access: follow La Route de la Mort in the direction of La Route du Restant du Long Rocher for 150m and turn right at the blue path; the boulder is 20m further.